Dr Mehool Sanghrajka is the Founder and CEO of Learning Possibilities. He has been working at the forefront of education for 20 years. I often get asked to talk to EdTech start-ups about how they should approach the market to become successful long term players. I have finally got around to writing the no-nonsense blog on success in EdTech that I promised many of them. This three part series, will be published over the next few weeks, looking at the different aspects of the education marketplace and the factors that often lead to success. For many decades, EdTech has be touted as the answer in reforming education. For two decades ‘21st Century Skills’ have been paraded as the answer to the growing skills gap between school/college leavers and employers. Yet there are few success stories in EdTech. The problems in education are complex, as are the solutions. 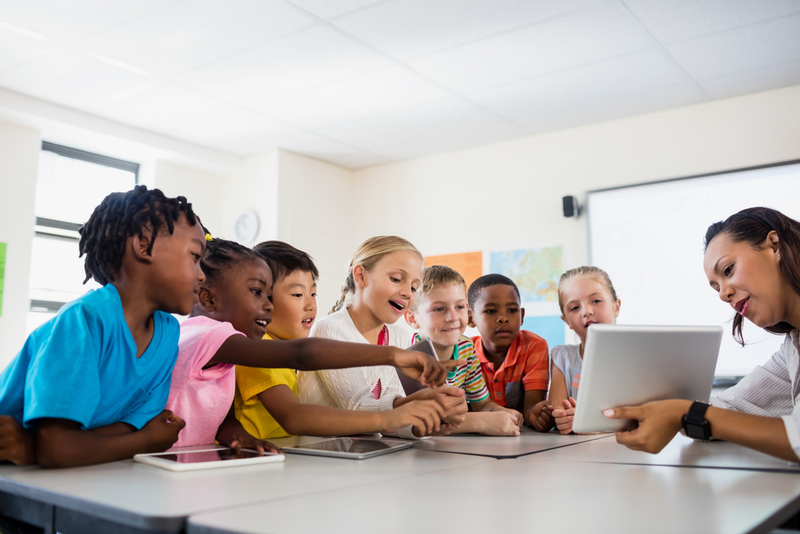 New entrants to the EdTech market often confuse it with the corporate or wider public sector markets and assume good technology will rapidly gain momentum. Understanding and navigating the nuances (highlighted below) of the education market is the key to finding a viable and adoptable solution. Think…Slow Down! : everything in Education moves slowly. I often laugh at the phrase ‘Education is a get rich slow business’, and it’s usually true. Education around the world is broadly split into fee-paying and (state or central) government institutions. Both have unique characteristics, but the key differential is scale. In almost every country, learners in government institutions far outnumber, by several multiples, those in fee-paying institutions. In addition, governments usually buy for large number of schools where as fee paying institutions are usually alone or grouped in small numbers. The other EdTech market is the consumer or parent. Studies show that parents engagement helps their children’s academic success. Here the challenges are different; alignment with curriculum and school teaching, marketing strategies to reach target parents, and competing with free products like Khan Academy. If you want (or need) scale, then understanding government purchasing cycles is the key. These cycles can be multi-year and sometimes be part of a wider national vision to build a knowledge or digital economy. Procurement may involve public tenders or strict funding criteria. Learning to navigate these needs to be an essential part of any EdTech strategy. In the corporate world, purchasing decisions are usually through a purchasing department and often related to a productivity or cost-saving ROI (return on investment) measure. Education is different. Teachers are overworked and therefore saving costs is not their priority. Further asking time-poor teachers to invest time in learning technology solutions is usually difficult when it’s frequently possible to pass exams well without access to specific learning technology. We focus our strategy on meeting government strategies, whilst having firm plans to engage with teachers and drive learning outcomes for learners. Unlike the corporate world, schools operate within the boundaries of school terms and holidays. This defines when purchasing activities, pilots and project rollouts can happen. It also determines when related (but separate) items such as devices and connectivity may be bought. Understanding the rhythm of the education calendar is vital, as is being part of the annual cycle of exhibitions and conferences. We set our annual calendar and plan our sales campaigns and customer pilots around school terms. Today having a scaleable solution often means some form of cloud service. These are usually ‘pay-as-you-use’ services, which means incurring variable costs, sometimes with little ability to control teacher or learner usage or behaviour. This model is also contraindicative, as good usage means higher cloud consumption costs. Government customers usually only work on predictable fixed costs, that they can budget. Having strategies to manage variable costs is usually necessary for global reach. As all parents know, children change classes every year. This makes student identity management and data security complex, yet critical. Teachers changes classes and schools many times in their education career. Managing this is more complicated than standard corporate implementations where user change or turnover is low. In the next blog, I will look at how EdTech is the answer to transforming education, but perhaps not as it is currently.